This updated version integrates better with the Studio One 4 and comes with enhanced compatibility. 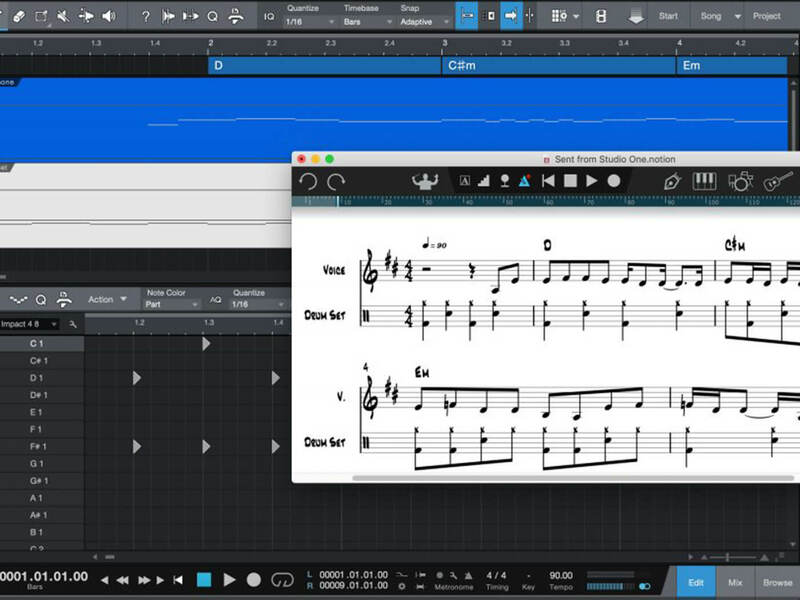 PreSonus has released the Notion 6.5, a big update to its popular notation software. This new version features better integration between Notion and Studio One 4, improvements to MusicXML implementation, and a new tremolo entry method, among other updates. With the update, Notion functions more seamlessly with the Studio One 4. For example, when importing drum tracks from the latter to the updated software, they’re automatically translated into standard drumset notation. This is a useful feature, especially if you need a quick transcription of recorded drum tracks. Additionally, the Notion 6.5 can automatically play back imported chords from Studio One with slash notation. For greater convenience, you can also select and edit all imported chords at one sweep with a new select function. The Notion 6.5 now supports the newer .musicxml extension, and has enhanced import/export support that caters to a range of articulations and symbols. This update also comes with new guitar tablature support, allowing you to share guitar files with more tab-focused applications. Notion 6.5’s new tremolo entry method comes with a couple of neat engraving and playback functions. Its software instruments can now play sample-less tremolos, as well as measured and unmeasured tremolos with chords. You’ll also have access to an improved slash notation layout, which assists you in the interpretation and auto-playback of complex chords.